100 years ago, Albert Einstein predicted gravitational waves that were only recently confirmed by the LIGO Lab. These GWs are part of the Theory of Relativity and the scientific world celebrated the validation of a theory made 100 years ago. So what? Has Einstein made any practical theories or discoveries that can be used in real life? But if we really look into it, Einstein left valuable lessons for new entrepreneurs and styartups. 1. It is OK to start at ZERO. 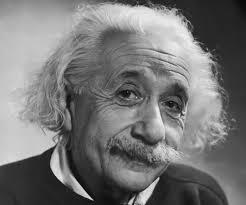 After graduating from the Swiss Polytechnic Institute, Albert Einstein had no job for 2 years. While in school, he had to work at odd jobs and almost had to quit school. So it is perfectly alright to start at the bottom. What is important is the continuous effort to move forward. 2. Obstacles are there to be overcome. Nothing was really going for Albert Einstein and that even goes into the looks department. His parents thought that his head was too big for his body. He had a bad memory but he was good at mathematics. Lesson, never let any obstacle come between you and your objective. 3. Treat the Unexpected as if it were a Generic Problem. Einstein was human. He fell in love and got married in 1903. Unfortunately, the marriage only lasted 11 years. He had his heart drawn and quartered by his first love. Einstein transferred to Germany and continued with his 2nd Love and that is teaching. 4. Always look out for opportunities. While working as a patent clerk and reviewing boring technical details and mathematical formulae, he came across two technical problems with regards to light and the notions of space and time. That started it. 5. Every Problem has a corresponding Solution. It is not that Einstein was so smart that he can solve all problems, his real talent was being able to stay with a problem until the proper solution comes along. So, there we go, 5 practical real life applications that Albert Einstein came up with. These can be applied in every enterprise or startup.